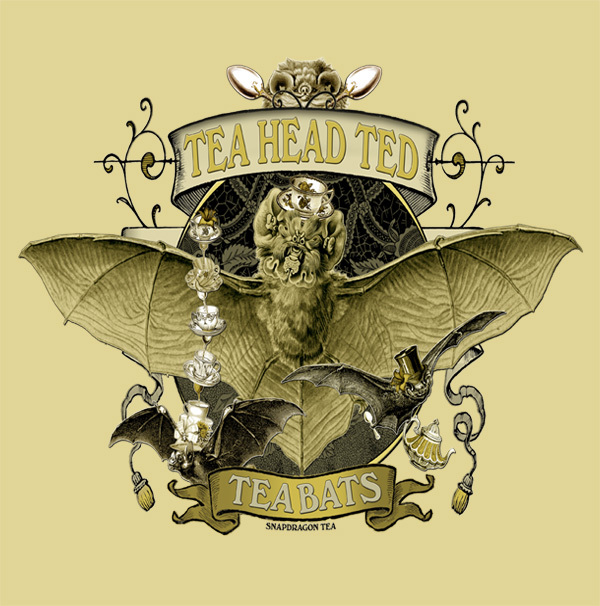 Our product of the day is from our Tea Bats Collection. 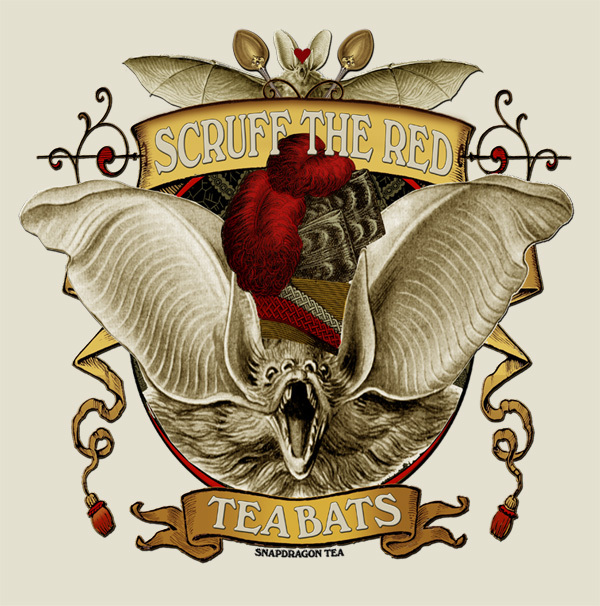 Our extremely entertaining Tips Von Tea has lent his crest to a variety of items that you can give a look at on our RedBubble profile. 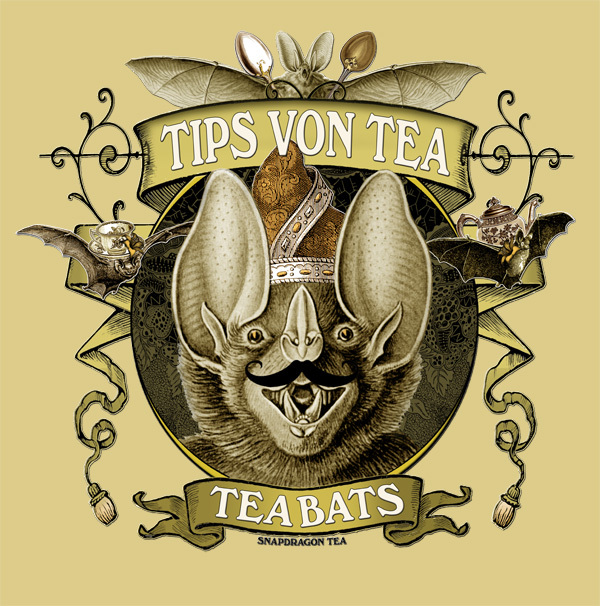 Be he on your back, on your front, or making your devices look interesting, Tips von Tea is the full package! New Butterfly Circus Lenormand tee shirts designs have been added to our Threadless Shoppe. Our Threadless shoppe is finally open. 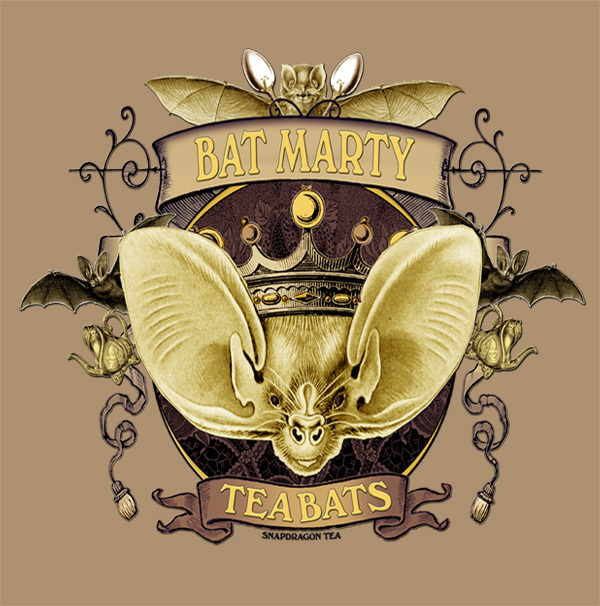 We have about twelve designs up at the moment that are mostly mine. I’ll be adding some of Myke’s as soon as I can find his master files. Many of our designs feature the artwork from our tarot decks. So please have a look and if you find an item you want to nab make sure you use coupon code FREESHIP66465d for free shipping. This coupon is valid from now until 11/21/16 at 11:59pm PT.